I first came accross Akee while visiting Jamaica, twenty years ago. It was served with salt cod and “Akee and Codfish” I was convinced that it was one of the most delicious foods I have ever eaten. When I got back from Jamaica, I looked for it and found it canned in Carribean markets. However, What I later learned was the unless the Akee is prepared properly, it will kill you. And, you do by vomiting! It has always been my experience that food is better when prepared by someone who knows how to prepare the food; and this seems to really be the case with Akee! 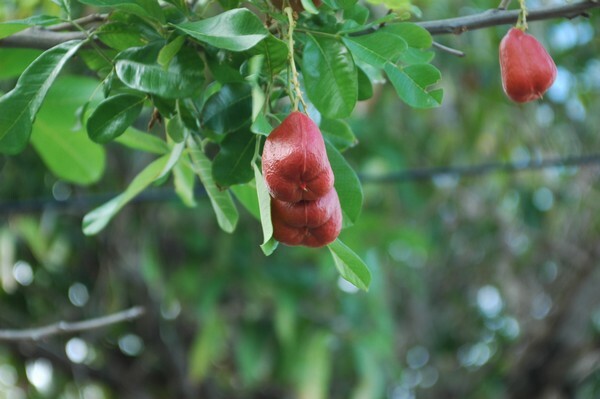 It is a member of the Sapindaceae family which includes Lychee, Longan, Rambutan, and Kennips. So, a very useful and delicious group of tropical plants!